Fiscal year 2010, the State Treasurer's office was the named paying agent/transfer agent on over 90 percent of municipal bond issues registered in the state of Kansas. July 2000 the Bonds Department became totally fee funded. Recently the State Treasurer's office has been appointed as the paying agent/transfer agent for all Wichita Temporary note issues. Since January 2004, the Treasurer's office had taken over responsibilities as the paying agent/transfer agent for all Wichita bond issues. Depository Trust Company's transfer agent report stated the State Treasurer's Office had returned 100 percent of transfers in a timely manner. The report stated none of our peers achieved a higher score. Municipal Bond Services is responsible for issuing registration numbers for all new issues. When the State Treasurer's Office is selected as paying agent, it is responsible for setting up the new issue, maintaining existing issues, notifying the bondholders of early redemption and collecting and disbursing bond payments. The State Treasurer's Office has provided swift, friendly, and professional service to bondholders in the State of Kansas since its inception in 1874. 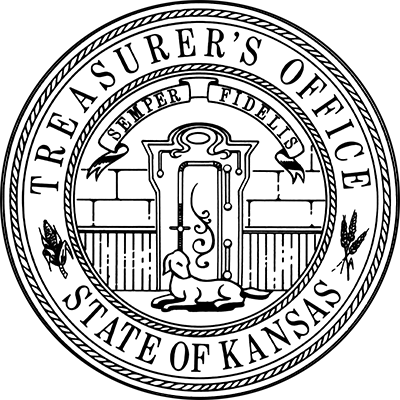 The State Treasurer’s Office is responsible for registering Kansas municipal bond and temporary note issues. Please open the attachment below for a list of these issues that closed in the previous month. This site contains certain limited statistical and financial data relating to activities the State of Kansas and has not been prepared or maintained as a source of investor information and should not be relied upon for investment purposes. Investor information regarding State bonds is available at www.emma.msrb.org. "We are responsible for the tracking of the total bond indebtedness for all entities in the State. Once each year all county clerks report on outstanding bond debt for all entities within their counties." Learn more about Jake.